According to the environmental protection agency (EPA), indoor air quality is one of the top environmental health risks facing Americans. It is estimated that the air inside your home is two to six times worse than the air outside (and sometimes over 100 times as polluted). Eliminating the source of the pollution through the use of air filters is a cost-and-health-effective way to improve your home’s indoor air quality. We handle electronic air filter installation, standard air filter installation and air filter maintenance so you don’t have to worry over your home’s indoor air quality. Acree Air Conditioning installs, services and maintains a variety of air cleaners and purifiers designed to increase the overall health of the air inside your home as well. The standard home air filter is designed to protect your home’s heating and cooling equipment by removing airborne pollutants 1 micron and larger. However, over 98% of indoor air contaminants are less than 1 micron. That means if you are using a basic filter, you aren’t getting the full benefits of a home air filter. By installing an electronic air filter, you can continue to protect your HVAC system while also significantly improving your home’s indoor air quality. Fits any system – It is available in standard 12” x 24” and 25” x 25” sizes as well as any custom size. Replaceable air filter pad – The disposable filter pad remains efficient for up to four months before needing to be replaced. Extremely efficient – The electronic air filter removes 97% of particles 0.3 microns and larger. Electromagnetic charge – The power supply electromagnetically charges the air filter’s fibers, attracting a large amount of harmful airborne particles and allergens. Poor indoor air quality is one of the most dangerous threats to your health. If you have anyone in your home with a respiratory problem, especially if they are young or old, it is highly recommended that you invest in a whole-home air filtration system. 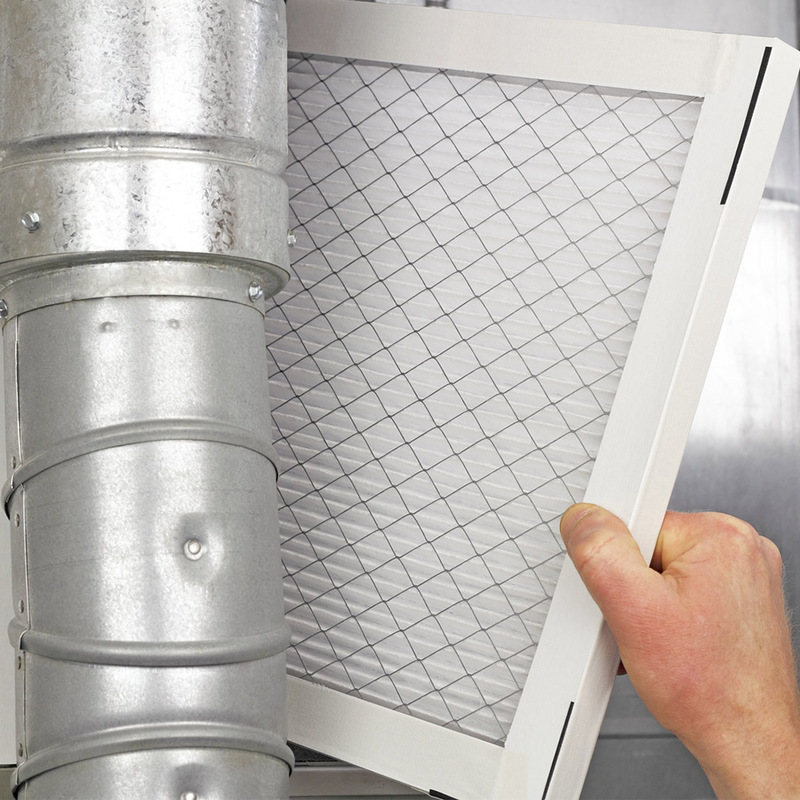 Take advantage of the benefits of an electronic air filter today. Contact us online for more information on our air quality products or schedule an air quality assessment online today by calling Acree Air Conditioning at 1-800-937-6736.